“One of the most important, artistic, and exciting works in the history of electronic music". All Music Guide to Electronica, Backbeat Books, 2001. p.505. 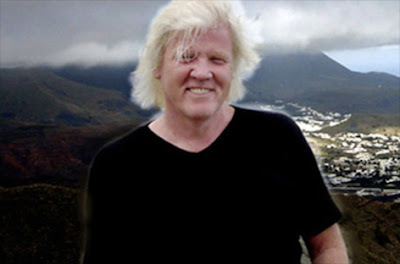 This poetry is dedicated to the memory of Edgar Froese of Tangerine Dream, who died recently. I don't believe in explaining my work too much; make of it what you will, but in this case I will make an exception. On a Saturday afternoon in the mid '70s my life was changed forever by a piece of music. I was listening to the Alan Freeman show; he played the kind of rock music we would call “Prog” (for progressive) these days, though I wasn't aware of it being called that at the time. 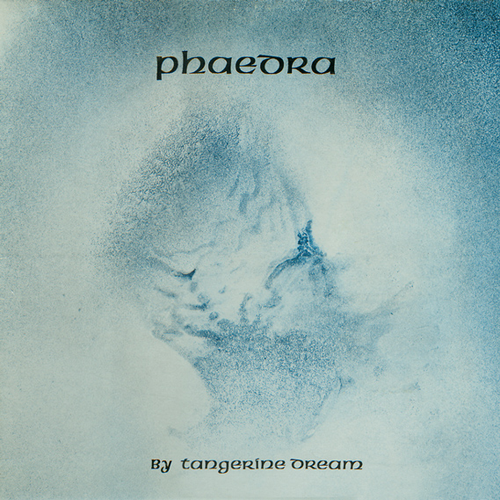 On his show I heard my first Yes, King Crimson, Wishbone Ash... the list goes on, but on that day I turned on just in time to hear Mysterious Semblance at the Strand of Nightmares from Tangerine Dream's album Phaedra. I had never heard anything like it. I had heard what was then called electronic music, the tape effects & the incidental music of Dr. Who, the haunting theremin of Forbidden Planet; but nothing like this. I was utterly trancefixed, moved, ecstatic. I went out & bought it on cassette tape as soon as I had enough cash. It was music which perfectly suited my mystical temperament; deep, rich & consciousness altering. Without the pioneering work of people like Edgar & bands like the Tangs, so much of the musical landscape which we take for granted today would not exist. Well, it probably would have evolved anyway, but they were the ones who did it first & did it so well. I have been faithfully listening to their music, this album in particular, for forty years. I've seen them live twice, on both occasions in Newcastle City Hall. They didn't disappoint. Here I have written four poems, for the four tracks of the album. It is by no means the first time I have taken inspiration from this music! I've provided links so that you can listen to each track on Youtube. They are all longer than the poems so as you read & listen you may find it helpful to contemplate each poem for the entire length of the song. If you like it please buy the album. If one person does so as a result of my writing here I will be very happy. Who are those children at play? Innocent of their radioactive heritage. To have been made by the stony strand. While she reclined, enigmatic Maya upon her rock. Up, away into a void of shout. A secret encoded in body rhythms. But we cannot return to that moment. That Pan made in the garden.